A table is a platform, a canvas if you will, for creativity to be shared and experiences to be had. 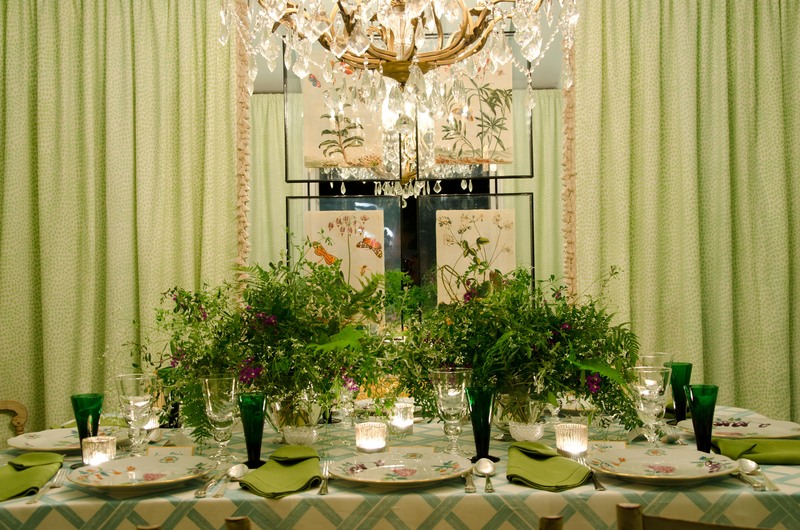 It’s no secret that the best stories told are inspired as much by the ambiance of a room as the guests telling it. 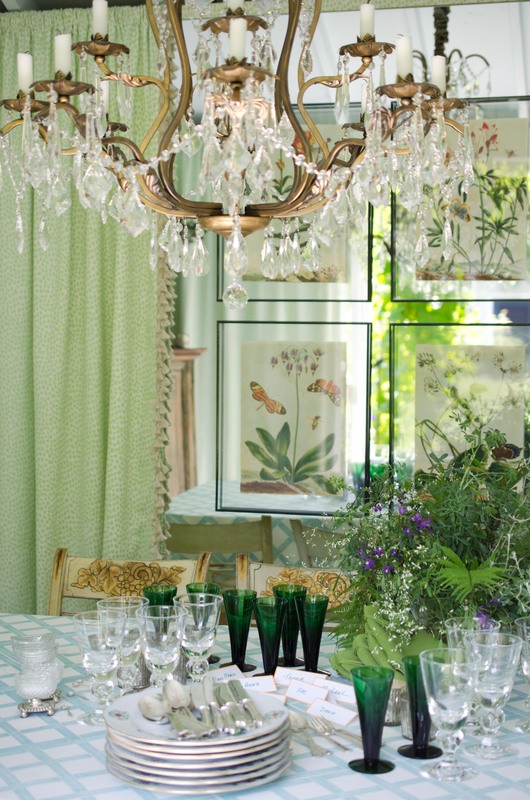 Entertaining always goes hand in hand with design, and one of my favorite topics to explore. Recently, I had the chance to interview, Michael Devine. When he’s not designing fabrics, or dreaming of Paris (me too!) 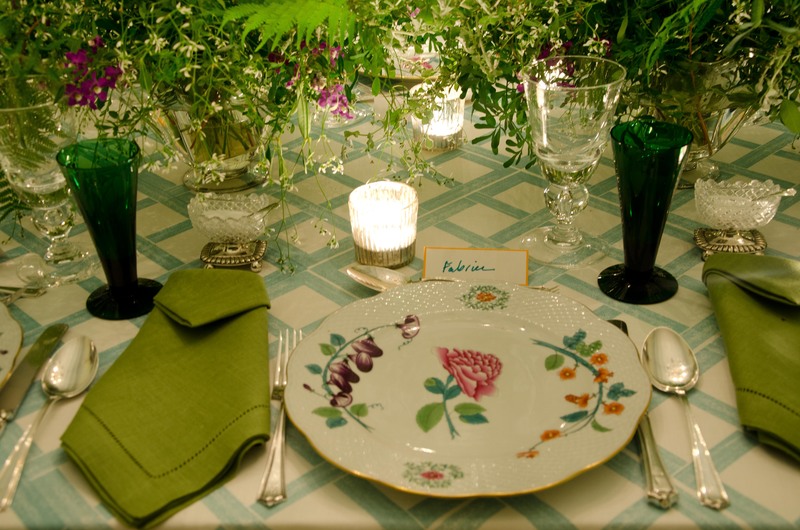 Devine is a master of the table including a 2014 collaboration with the renowned French porcelain house of Marie Daage that resulted in an exclusive collection of hand painted dinnerware. The resulting patterns are based on two of Michael’s fabric designs: Thomas and Charlotte. It takes to two tango, and in this dance, we learn how Michael entertains from the viewpoints of a renowned textile and dinnerware designer. 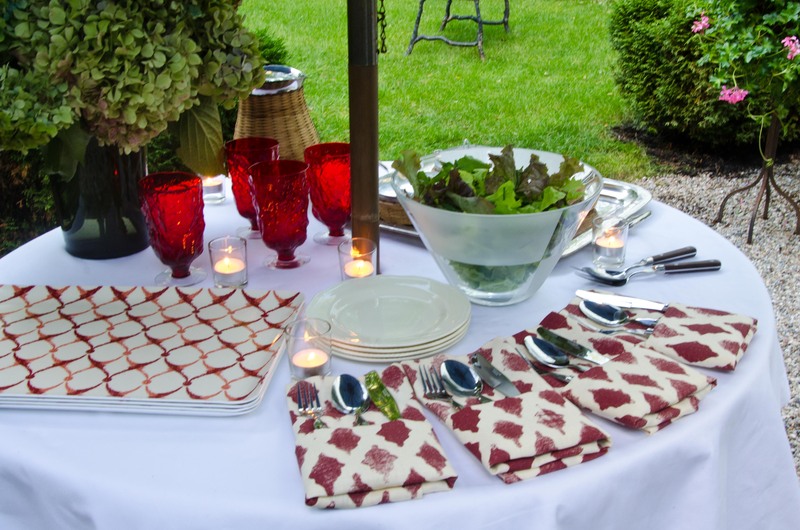 HC: What is a resounding difference about entertaining indoors vs. outdoors? Bugs are always the invite guest when entertaining outdoors. I use citronella torches and candles to help combat them during the evening. The torches also add extra to the setting which is handy. However, I spray Yard Guard right before I start to set everything up for the evening. It does help keep the bugs away. Music is so important. There are some great Spotify options for just about every taste. It’s also important if you have neighbors to keep the volume in mind when entertaining outdoors. Loud enough but not so loud as to have the police as extra guests! HC: (Turns Spotify on) Why don’t we start inside. How to do you entertain indoors? 1. We have a charming little Bagetelle that we love to entertain in – it is an old garden shed that has been transformed into a whimsical dining space in the back of the garden. Since it’s a bit far from the house, I try to set the table the day before. That way it saves steps the day of the dinner. 2. I grow heirloom tomatoes and love to serve a cold tomato tartare. It can be made the day a head so its one less thing to do the day of. The meals that I love to cook are influenced by my love for France and the care the French take in the smallest details. Menus should not be too complicated; they should be delicious and presented with flair. 3. I like to use interesting napkin folds- it adds interest to the place setting. 4. Keep an extra table on the side to use as a serving table and a place to hold water and extra beverages. It was a couple of years before I learned this, but its a great place to have the ice bucket and other things near by with out the getting in the way. HC: Beautiful. 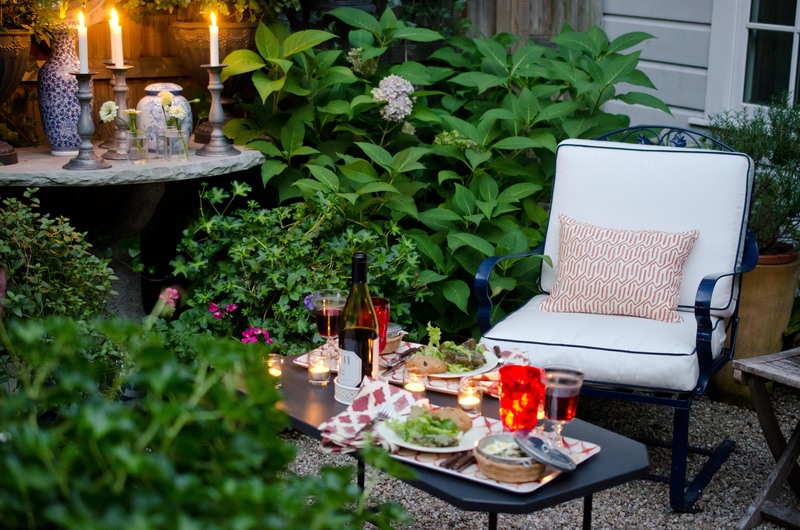 Now let’s take the party outside…Tell us about how you entertain outdoors! 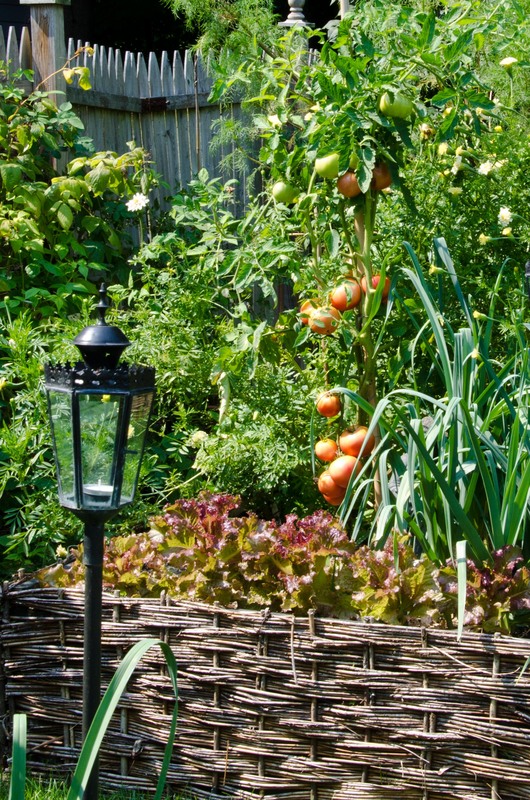 My garden is the raison d’etre for breakfasts, lunches, drinks parties and dinners that I host throughout the year. It provides fresh, organic produce for the dishes I prepare, and sensuous flowers of all shapes, sizes and colors for a festive tabletop. 1. For an easy outdoor get together I like to do tray dinners. The food is served buffet style and everyone just grabs a tray and serves themselves. It’s a great way to entertain at the last minute. 2. 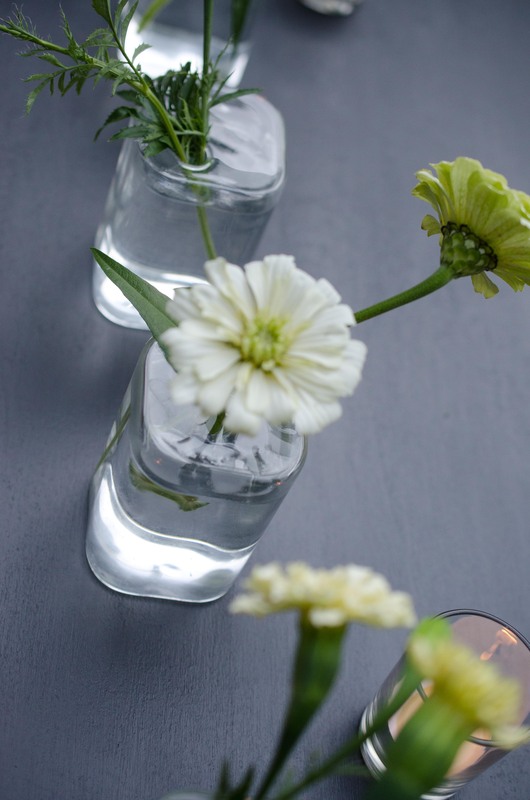 For an outdoor dinner – feel free to keep it simple with the flowers. Just turn to what is blooming in your garden. I like to use single stems of one color as I think it makes more of a statement. 3. 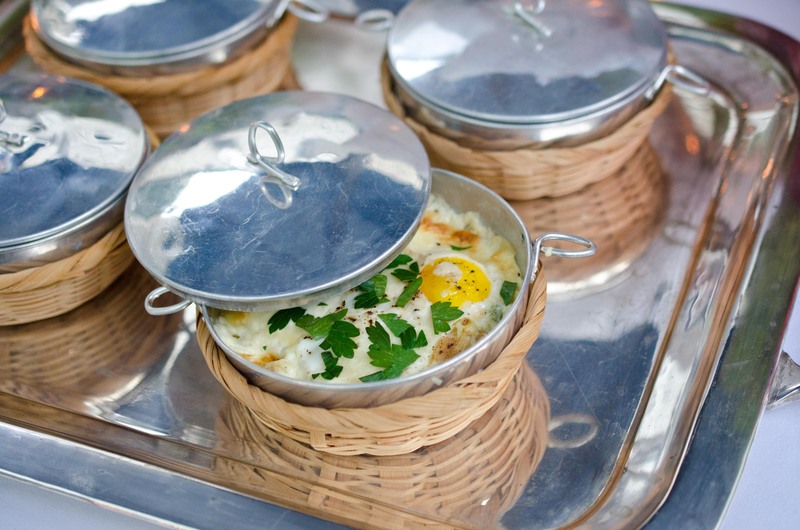 For food I try to serve one dish main courses like Oeufs en Cocottes. It’s an easy and quick to make French dish that can be varied by what’s on hand and are ready in a flash. 4. I love to use a lot of candles when we entertain outdoors. Ikea’s makes really great votives and tapers that are inexpensive that we use all the time. I try to freeze the tapers for at least an hour before using to help reduce wax dripping. At the end of the day it’s the people we invite (and their guests) who are the most important design element in the room. I hope this discussin has inspired your next indoor or outdoor fete! 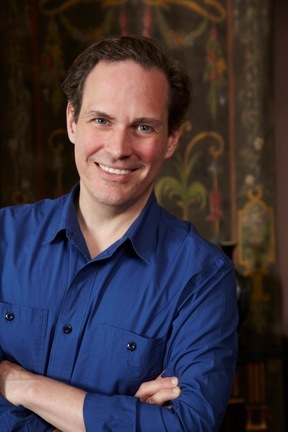 Michael Devine is a noted textile designer, author of An Invitation to the Garden and lecturer on the l’art de vivre. Since launching his bespoke hand printed fabric collection in 2002, Michael Devine Ltd. has expanded to include hand painted dinnerware, home accessories and interior design. The foundation of his design work rests on his studies of art history at the Ecole du Louvre, French at the Sorbonne, cooking at the Ritz Escoffier and experiences of living in Paris which continues to inspire his work. It was living in Paris that refined his style and his designs which lead him to create his luxurious bespoke silk screened fabric collection of neotraditional prints, Michael Devine Ltd.